Inject a bit of life and personality into your home with modern ceiling light fixtures. Here’s how to use ceiling lights in your home decor. Make your home decor beautiful and interesting for less with modern ceiling light fixtures at affordable sale prices. Ceiling light fixtures can easily and cheaply update your existing interior design scheme. Looking for a statement piece? Hanging light fixtures are interesting, unique, and are sure to be eye-catching. Going for an industrial look? Ceiling lamps hang from the ceiling, especially at the center or opposite sides of the room, giving a raw, stripped-back look and style to your room. Fixtures can be placed anywhere in a home, there are ceiling lamps for the dining room, bedroom and many other areas in your house, including the kitchen. Check out the best ceiling lights listed below, and find the ones that suit your home and style. Material - Ceiling light fixtures are made of many different materials. Aluminum is popular. It’s a well-performing metal, lightweight and low density, but capable of withstanding a lot of weight if need be. It can also be painted easily in any color that takes your fancy. Copper is also very popular right now. Copper is soft but has great thermal and electrical conductivity. Copper looks amazing in Scandinavian or industrial themed rooms. Size - You can find hanging light fixtures in many different sizes. To make sure your new modern ceiling light fixtures look good in their new home, try to spend some time visualizing your space with larger and smaller light fixtures in it. Style - Light fixtures have so many different and varied styles that the sky really is the limit. Whether you’re looking to push the boundaries a bit or keep it classy and traditional, you’ll be spoiled for choice. Do choose something that looks good in your existing decor. Color - Light fixtures are available in pretty many any color you can think of. Choose a color that either complements and adds to, or boldly contrasts with, your existing color story. Be careful with pastel colors, these can look dated and twee very easily. 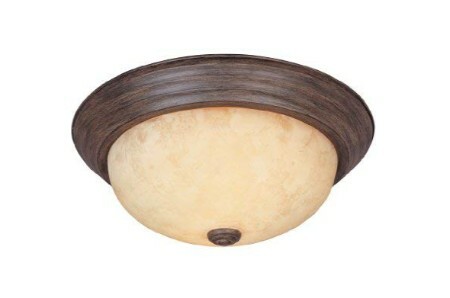 Luxurious oil-rubbed bronze metal ceiling light, made by: Globe Electric, model: 64846. Made of fine metal, on sale, the best ceiling light, a beautiful home décor piece, size: 8x8x8. This amazing modern ceiling light, everything you ever needed. Ingenious oil-rubbed bronze ceiling light, manufactured by: Design House, model: 519884. Made with classic metal, luxury fine ceiling light, a cool living room layout accessory, dimensions: 11.02x11.02x7.87. The best retro style ceiling light. White metal ceiling light, made by: Westinghouse, model: 6632600. Material: classic metal, best price for luxurious ceiling light, a beautiful bedroom classic accessory, dimensions 10x8.25. It's hard to beat this awesome vintage ceiling light. Check out this warm mahogany glass ceiling light, manufactured by: Designers Fountain, amazing living room adornment. Material: first-class glass, size 11.25x4.5. Discounted 60's ceiling light, it’s an amazing décor item! 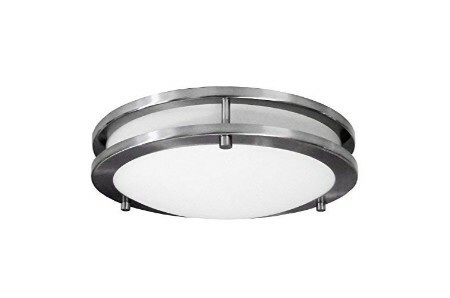 Brushed nickel ceiling light, manufactured by: HomeSelects, model: 6102. Material: prime metal and glass, luxury fine ceiling light, must have home décor piece, dimensions: 12x12x3. This is hands down the coolest modern ceiling light, super fun! 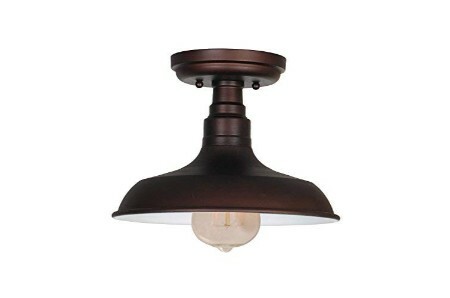 Oil-rubbed bronze cast aluminum ceiling light, by: Designers Fountain, model: 1257L-ORB-AL. Material: excellent cast aluminum, this is the best price for ceiling light, a must have bedroom stylish accessory, dimensions: 15.25x5.5. This amazing oil-rubbed bronze cast aluminum ceiling light, by: Designers Fountain, surprising living room stylish accessory. Made of first-class cast aluminum, dimensions 11.25x4.5. Luxury contemporary ceiling light, firm and solid. Silver ceiling light, made by HowPlumb. Material: excellent glass, the best deal for fine ceiling light, a delightful home décor accessory, dimensions: 26.8x5x8.9. The highest quality hollywood glam ceiling light, incredibly fun! If you are like us you can't get enough of this black glass ceiling light, produced by Design House, surprising bedroom accessory. Made with the finest glass, dimensions 11.38x11.38x4.5. Low cost 70's ceiling light, what a marvelous idea! Black ceiling light, by Licperron, model: LLepandent006. Material: metal, least expensive cost for tasteful ceiling light, a beautiful living room adornment, size - mini. This is a epic modern ceiling light, affordable for everyone! Oil-rubbed bronze ceiling light, manufactured by CLAXY, model: B3027CU-OB. Made with the finest metal & glass, classic ceiling light, a heavenly home décor upgrade piece, size 13.6x10.4x14.3. Finally, a perfect retro style ceiling light. Black ceiling light, made by BAYCHEER, model: HL371436. Made of prime metal, this is the best price for ceiling light, a superb bedroom masterpiece, size: 22.44x5.12x22.44. This is one of the coolest vintage ceiling light, best seller! Awesome, check out this satin nickel glass ceiling light, produced by Hardware House, a beautiful living room design piece. Material: top-level glass, dimensions: 13x13x11. Customized 60's ceiling light, amusing to utilize! The highest quality white glass ceiling light, created by Westinghouse, a wonderful home décor elegant piece. Made of classic glass, dimensions: 2x5x3. Now on limited time discounts for modern ceiling light, stylish and looks great! Silver ceiling light, by: ZHMA, model: AUS-5-DL016. Made with high quality plastic, luxury ingenious ceiling light, a radiant bedroom masterpiece, size 7.8x2.3x7.8. Get ready to have the best shabby chic ceiling light, don't linger around! If you're looking for a really unusual idea, check out this classic bronze ceiling light, made by Hardware House, surprising living room design piece. Made with the very best glass, dimensions 15x15x10. 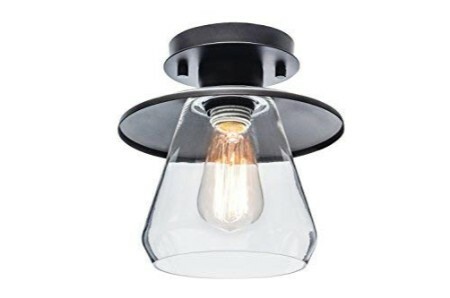 A great deal for contemporary ceiling light. Oil-rubbed bronze ceiling light, made by: Globe Electric, model: 65904. Material: first-class metal, the best deal for aristocratic ceiling light, astonishing home décor design piece, size 13x13x15.4. Hollywood glam ceiling light, gorgeous. Antique bronze ceiling light, manufactured by: CLAXY, model: B8878DU. Material: the finest glass and metal, best savings for ceiling lights, a superb bedroom adornment, size: 11X10. Get the most out of this 70's ceiling light, lovable and cute. The best nickel ceiling light, created by CO-Z, a beautiful living room fashionable piece. Made with first-class satin etched glass, dimensions 5.12x10.28. This is the best price for vintage ceiling light, it's completely staggering. Fashionable white ceiling light, a piece by Westinghouse, model: 6620600. Made of prime glass, low cost imaginative ceiling light, a delightful home décor fine accessory, size 13.25x2.5x13.25. Amazing 70's ceiling light, fun and affordable. An awesome sienna glass ceiling light, made by Westinghouse Lighting Corporation, nostalgic bedroom accessory. Made of top-level glass, size 13.5x13.5x6.5. 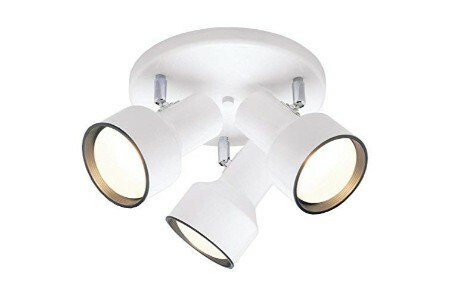 Best savings for modern ceiling light, it sure is gorgeous. Special sale price! The astonishing best seller white ceiling light, made by WESTINGHOUSE LIGHTING CORP, a beautiful living room masterpiece. Made with classic glass, dimensions: 1.99x13x6. Low cost retro ceiling light, firm and solid. Buy it now! If you are like us you've always dreamt on having this chrome ceiling light, by: POPILION, surprising home décor fashionable piece. Made of first-class glass, size 12.99x10.23. Special vintage ceiling light, a very unique décor piece. Get ready for this premium silver crystal ceiling light, by: GLANZHAUS, a heavenly bedroom brilliant masterpiece. Made of supreme crystal, size: 11.8x4.72. Discounted 70's ceiling light, it's also the perfect, affordable nostalgia decor idea! When thinking about hanging light fixtures, a chandelier might automatically come to your mind. But there are several other interesting options for lighting up your space. Take a look at the following designer tips for living room ceiling light fixtures to quickly and easily update your home decor. Incorporate decorative lighting: Lighting does not have to be fully practical. Using impactful pieces such as pendant lighting with a fashionable paper shade can add to the mood of your living room while also providing a gentle glow. Try using cove lighting: Cove lighting is lightning that runs around the perimeter of your ceiling. Making use of cove lighting can really add something special to your rooms. Get options with a dimmer switch: Dimmers can set the mood you want for your home. Simply turn the lights up or down depending on your preference at the time. Install a glitzy chandelier: Think chandeliers are just for hotels and castles? Think again. A classy chandelier can add glam to just about any space in the home, including the living room. Create elegance with drop-down lighting: Don't be afraid to look outside-of-the-box when it comes to living room lighting. Drop-down lightning is just one of the funky and eye-catching options available. Look for flush and semi-flush mounted ceiling lights: Elegant, effortless, and simple, do not overlook classic mounted ceiling lamps for the dining room. hallway, and living room. These lights also look great when used in tandem with statement lighting. Install a central pendant light: Pendant lights are not meant for kitchens only. They also look great in many other spaces in your home. Try hanging a brightly colored pendant light above your bed or in the hallway. If you are like us you've always dreamt on having this oil rubbed bronze metal wall lamp, produced by Westinghouse, a superb home décor adornment. Made of fine metal, size: 10.24x30.31x8.66. An affordable retro wall lamp, coolest ever! The stunning best selling oil rubbed bronze solid brass bathroom faucet, made by: Ufaucet, amazing bathroom showpiece accessory. Material: solid brass, dimensions: 3.94x8.67x5.12. Contemporary bathroom faucet, incredibly fun and stylish! The stunning best selling oil-rubbed bronze metal and glass wall lamp, created by CLAXY, a beautiful living room enhancement piece. material: fine metal & glass, size: 19.5x12. Now on discount modern wall lamp, incredibly fun! Oil rubbed bronze ceiling fan, produced by Westinghouse, model: 7201900. Made of classic metal and glass, best price for ceiling fans, a cool home décor showpiece accessory, size 42x42x11.75. An awesome modern ceiling fan, lovable and cute. Get the most out of this bronze metal wall lamp, created by Westinghouse, a must have home décor fine accessory. Made with top-notch metal, dimensions 20x7.25. Best savings for modern wall lamp, limited edition and look incredible! Finally, a perfect oil-rubbed bronze metal wall lamp, manufactured by: Globe Electric, a radiant living room layout accessory. Made of top-notch metal, size: 8.86x6.69x10. This item received the best reviews for modern wall lamp.